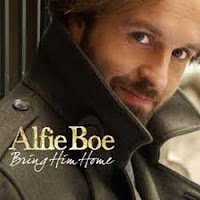 Alfie Boe’s Bring Him Home Tour has been a great success and the singer has now confirmed an even bigger UK tour next March which will be playing at some of the country’s biggest arenas and the Royal Albert Hall in London. It follows his new studio album which is due to be released in early November 2012. 22nd March Birmingham NIA: 23rd March Manchester MEN Arena: 25th March Edinburgh Playhouse: 27th March Glasgow Clyde Auditorium: 28th March Newcastle Metro Radio Arena: 30th March Brighton Centre: 31st March Plymouth Pavilions: 3rd April Bournemouth International Centre and 8th & 9th April London Royal Albert Hall.